Here is just a little heads up about our upcoming annual sale starting in two weeks on TUESDAY 10TH JUNE, 9AM. 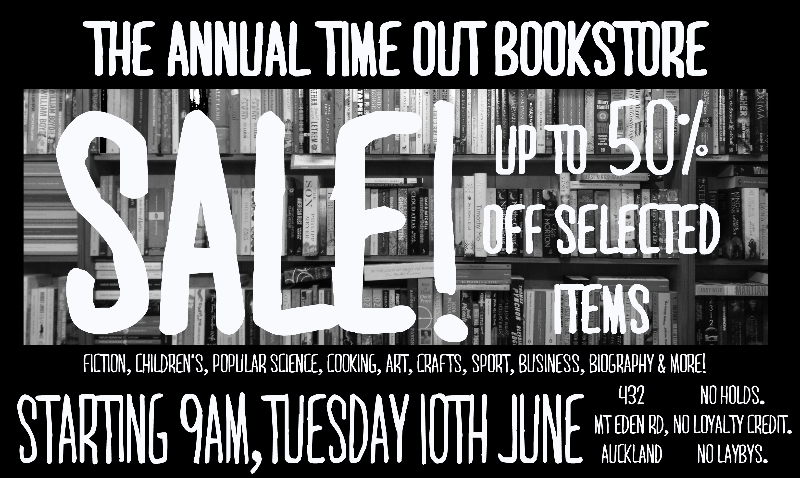 There will be 50% off selected items including fiction, non-fiction, art, cooking and children's books. The stock will be revolving, so it will be worth popping in a few times. No Holds. No Loyalty Credit. No Laybys. Celebrating 25 years...Time Out Bookstore, an independent bookstore with an independent spirit - since 1988!